UCL Matchday 6: Who Progresses, Who Falls? As we head into the final matchday of the Champions League group phase, five sides are in the mix for a place in the round of 16. Ahead of the games on Tuesday, we have decided to break down all the relevant permutations. Both Atletico Madrid & Borussia Dortmund have confirmed their place in the round of sixteen, however top spot is on the line in matchday six. Atletico can confirm themselves as Group A winners with a victory away in Brugge. As for Dortmund, they can finish top if they win away to bottom of the table Monaco and Atletico fail to win. Club Brugge have already confirmed their place in the Europa League round of 32. Barcelona has already confirmed their place as Group B winners following a 2-1 win over PSV last time out. That means it’s a shoot-out between Tottenham & Inter Milan for a place in the round of 16. 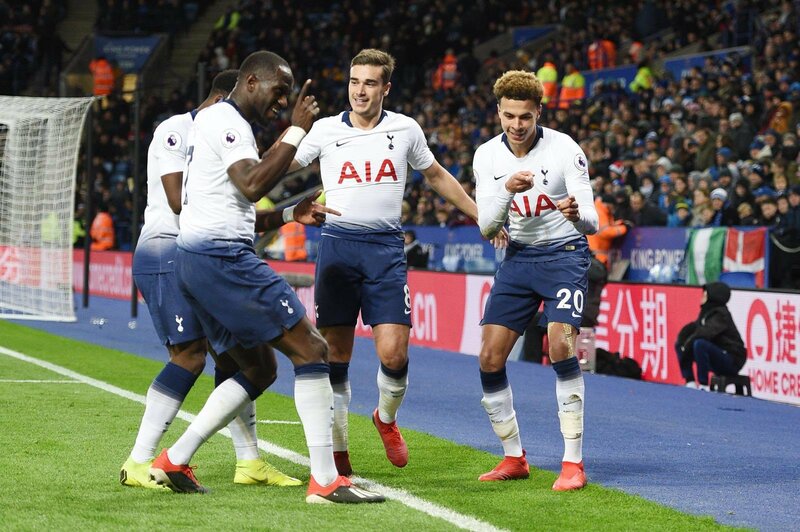 Spurs are currently second in the group on their away head to head record, they need a win away in Barcelona or to pick up more points than Inter to reach the knockout phase. The situation is the same for Inter who take on bottom of the table PSV at the San Siro. They need to better Tottenham’s result to seal their spot in the round of 16. The loser of the straight shoot-out will progress to the Europa League. Three sides in Group C are within a shout of progressing to the round of sixteen. Napoli will be in the round of sixteen with just a point against Liverpool, or if PSG loses to Red Star. Liverpool need a win at home to Napoli to have any chance to progress, if PSG wins then Liverpool must win 1-0 or by two goals. If all three sides finish on nine points Liverpool would clinch top-spot based on a three-way head-to-head with second place determined by the result at Anfield. Red Star can finish in the Europa League places if they beat PSG & Liverpool fall to a defeat to Napoli. Only third place is up for grabs in Group D, with Porto already confirmed as group winners and Schalke through as runners-up. That means that Lokomotiv & Galatasaray are battling it out for a place in the Europa League. Galatasaray will progress to the Europa League round of 32 with a victory at home to already qualified Porto, or if Lokomotiv does not win away to Schalke. The equation is the same for Lokomotiv who need to better the Turkish sides result.